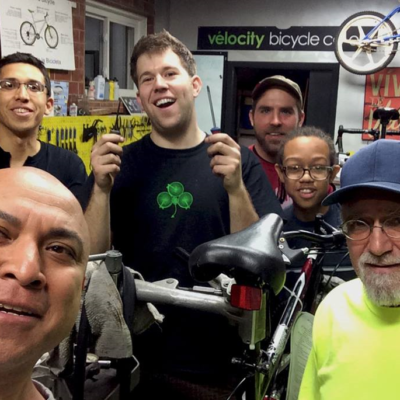 To help fulfill the Vélocity mission of growing and empowering a more inclusive biking community, we proudly offer Do-It-Yourself [DIY] bike repair access to our entire community. 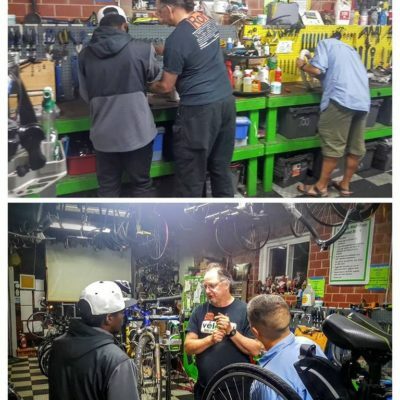 While expert Vélocity Coop mechanics and Véloteers still provide traditional bicycle shop labor services and tuneups, Vélocity Coop is different from traditional bike shops because we are committed to educating our community members in bike repairs so they're more knowledgeable and better able to help others in turn. 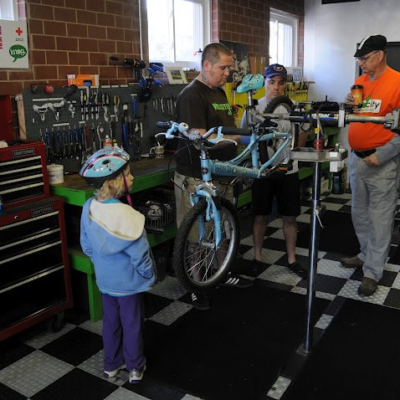 Vélocity provides the necessary tools, spare parts, a bike repair stand, and verbal assistance so you can make the needed repairs to your own bicycle. Vélocity will provide you with all the instructions and guidance you might need. No experience is required. And there's no fees for DIY access, however we respectfully ask for at least a $15 an hour donation so that we can continue to offer this service to our community. Most tune-ups only involving adjustments will take less than an hour if we're not too busy. 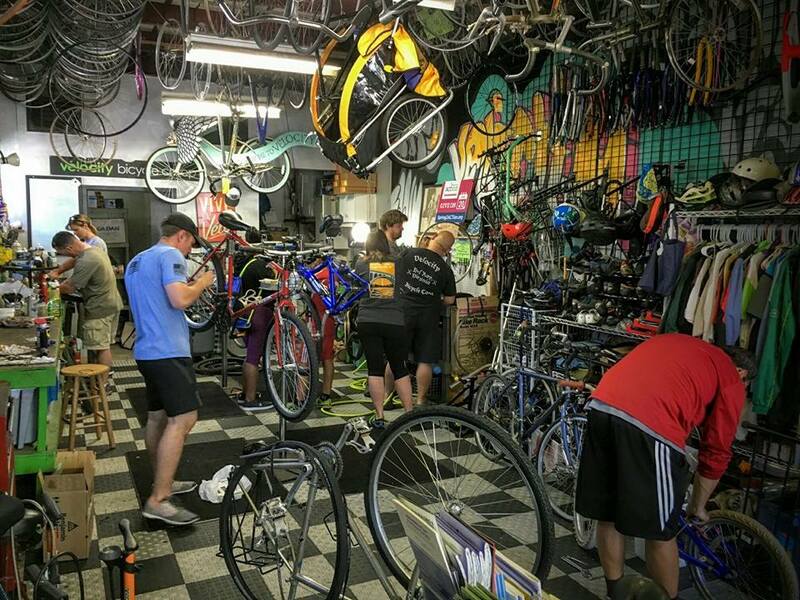 The donation is only applicable to bike repair stand and tool access, we have tire pumps and some basic adjustment tools available to use for free. 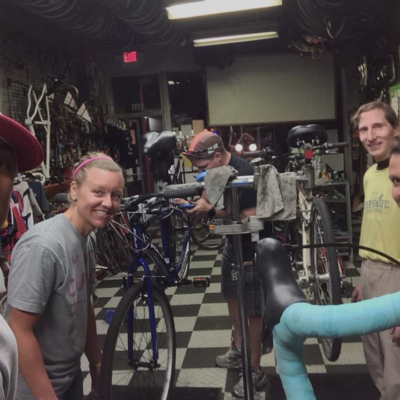 Doing it yourself is a great way learn a valuable new skill in a relaxed environment, prevent down-time by not having to leave your bicycle for service, and save a bunch of money! 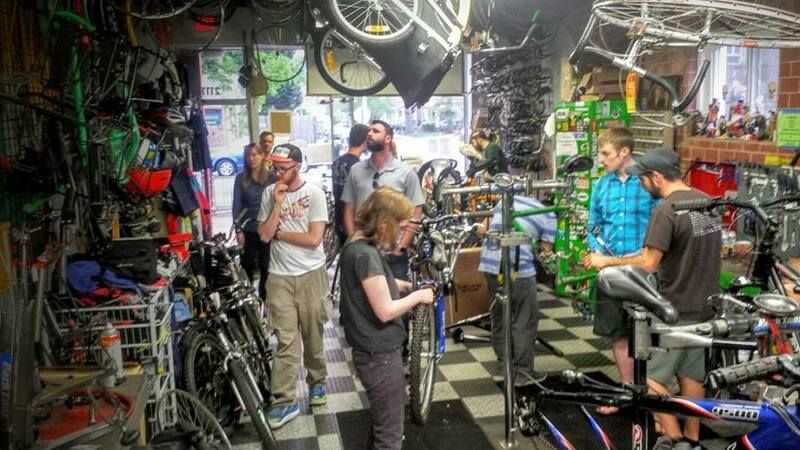 Véloteers are on hand to assist with DIY on Wednesday evenings 6-9pm and all day on Saturdays and Sundays.